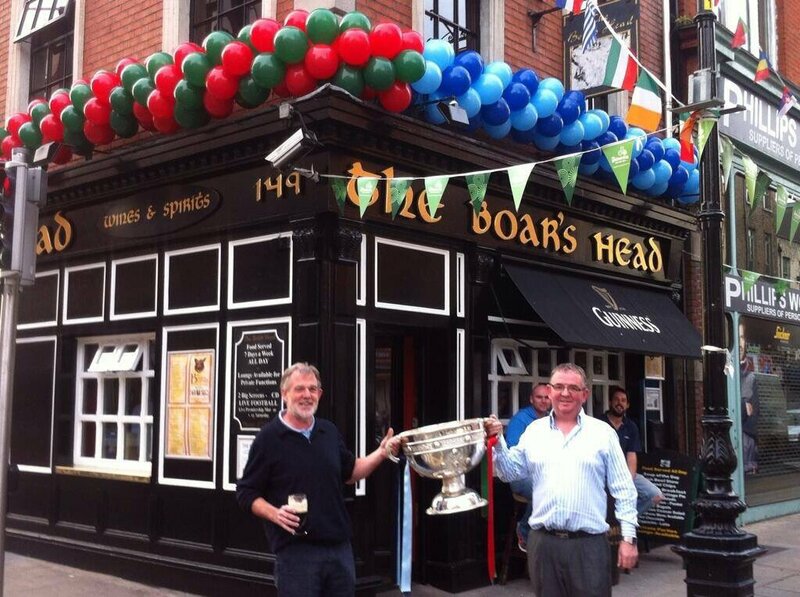 post-title The Boars Head are gearing up for All Ireland Final weekend and….the return of Sam? The Boars Head are gearing up for All Ireland Final weekend and….the return of Sam? Home / 2018 / The Boars Head are gearing up for All Ireland Final weekend and….the return of Sam? There’s one pub in Dublin that, through the course of the years of Dubs dominance in Gaelic Football, has become synonymous with All Ireland Final day. Or rather, with the day after All Ireland Final Day. The Boars Head on Capel Street is run by Cavan man Hugh Hourican and his wife Anne since the early 90’s. During that time he’s made a lot of friends in sport and has more than a few stories to tell (all of them good). The pub has become a place where GAA fans of all stripes come to watch games and talk tactics. 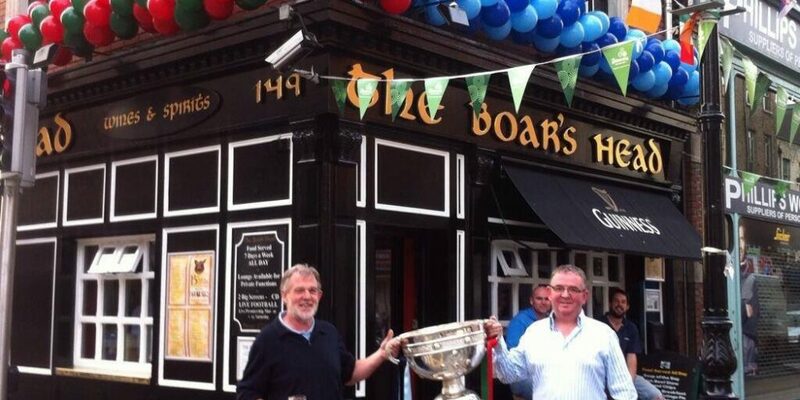 After the Dubs have won the Sam Maguire they will traditionally bring it into The Boars Head on Monday morning where the celebrations continue from the night before. Bemused onlookers on Capel Street will wonder why such a large crowd has formed so early, and on a Monday morning, but seasoned GAA fans will know that the tradition of a visit to The Boars Head is being upheld. The pub tweeted “Will it be 4 in a row?” with a picture of 4 pints of Guinness lined up. But a Tyrone fan in reply says he promised to bring Sam in for a visit himself next Monday even if the Dubs don’t bring it themselves. Whatever happens at the weekend, you can be sure that this’ll be a pub worth visiting.